Rose Mons OU provides military aviation spare parts, components and MRO solutions for the MiG-21 and all variants. Rose Mons OU has experience in the MiG-21 Engine Assemblies, Rotables, Consumables, Avionics, Hardware, Landing Gear, Electrical Assemblies, Fasteners, and Structural Assemblies. Rose Mons OU is a leader in the supply of OEM and Aftermarket spare parts and Rebuild Services. Our sales and support team has access and knowledge to more than 120 million unique parts for customers around the World. The MiG-23ML (Flogger-G) was intended to have improved handling especially at high angles of attack, enhanced manoeuvrability and higher ‘g’ limits. 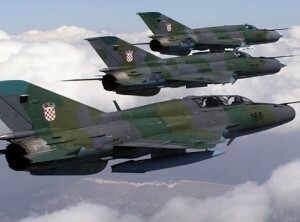 It featured a lightened airframe, more powerful R-35-300 engine, improved, lightweight Sapfir-23L radar adding a new dogfight mode, more capable defensive avionics and a new infra-red search and track. It formed the basis for the MiG-23MLD (Flogger-K) that had a number of aerodynamic modifications to increase high angle-of-attack capability and controllability. Rose Mons OU provides military aviation spare parts, components and MRO solutions for the MiG-23 and all variants. Rose Mons OU has experience in the MiG-23 Engine Assemblies, Rotables, Consumables, Avionics, Hardware, Landing Gear, Electrical Assemblies, Fasteners, and Structural Assemblies. 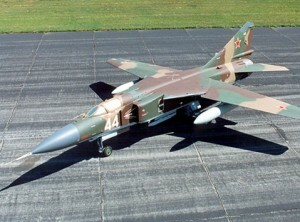 The MiG-27 was developed as a fully optimized fighter-bomber based on the MiG-23BM. 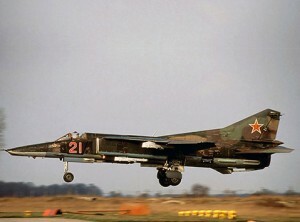 Along with the Su-17, the MiG-27 formed one half of the mainstay of the attack force of Tactical Frontal Aviation armies. The MiG-27s are capable of automatic night or bad weather blind bombing with a very high degree of accuracy. The only current MiG-27 operators are Kazakhstan (with three attack regiments) and India. Both operate the MiG-27M Flogger-J variant fitted with PrNK-23M nav/attack system, Pelenga weapons system giving compatibility with precision guided munitions and guided air-to-surface missiles and a Klen (maple) laser range-finder/target tracker. Rose Mons OU provides military aviation spare parts, components and MRO solutions for the MiG-27 and all variants. Rose Mons OU has experience in the MiG-27 Engine Assemblies, Rotables, Consumables, Avionics, Hardware, Landing Gear, Electrical Assemblies, Fasteners, and Structural Assemblies. The MiG-29 is a 4th generation jet fighter aircraft designed in the Soviet Union for an air superiority role. 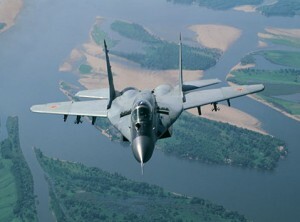 It remains in use by the Russian Air Force as well as in many other nations. Rose Mons OU provides military aviation spare parts, components and MRO solutions for the MiG-29 and all variants. Rose Mons OU has experience in the MiG-29 Engine Assemblies, Rotables, Consumables, Avionics, Hardware, Landing Gear, Electrical Assemblies, Fasteners, and Structural Assemblies. The Su-27 (NATO reporting name ‘Flanker’) is a one-seat Mach-2 class jet fighter plane originally manufactured by the Soviet Union. The Su-27 most often flies air superiority missions, but is able to perform almost all combat operations. 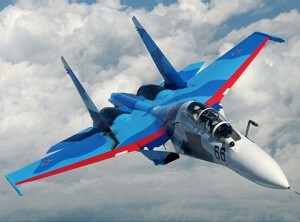 Rose Mons OU provides military aviation spare parts, components and MRO solutions for the Su-27 and all variants. Rose Mons OU has experience in the SU-27 Engine Assemblies, Rotables, Consumables, Avionics, Hardware, Landing Gear, Electrical Assemblies, Fasteners, and Structural Assemblies. Rose Mons OU is a leader in the supply of OEM and Aftermarket spare parts and Rebuild Services. Our sales and support team has access and knowledge to more than 120 million unique parts for customers around the World. 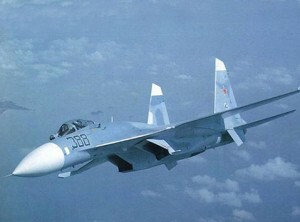 The Su-30 (NATO reporting name “Flanker-C”) is a Russian twin-engine military aircraft. It is a two-seat, dual-role strike fighter for all-weather, air-to-air and air-to-surface deep interdiction missions. Rose Mons OU provides military aviation spare parts, components and MRO solutions for the Su-30 and all variants. Rose Mons OU has experience in the SU-30 Engine Assemblies, Rotables, Consumables, Avionics, Hardware, Landing Gear, Electrical Assemblies, Fasteners, and Structural Assemblies.